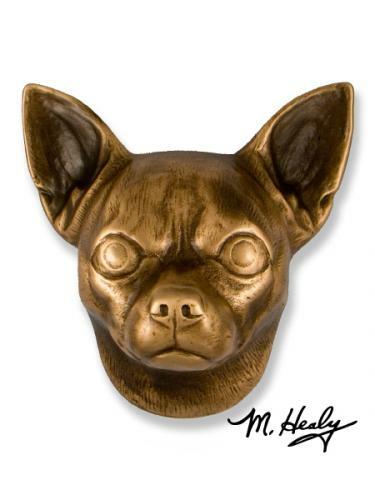 Unique Chihuahua Dog Knockers by Michael Healy. Handcrafted in solid bronze using the age-old art of sand casting. Cast from original sculptures. Chihuahua Dog Knocker is $150.00.